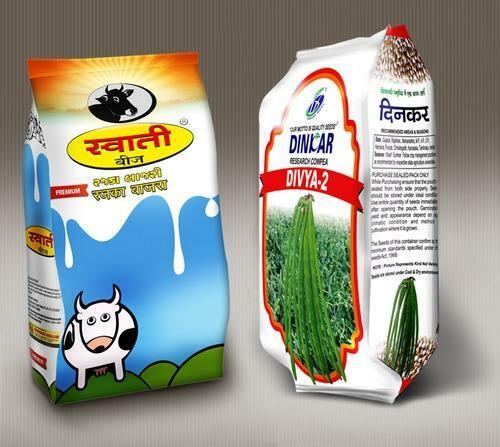 We are a remarkable entity, engaged in offering a stunning array of Gazetted Pouch to the clients. Our provided range is manufactured by our adroit professionals using the finest grade raw material with the aid of the latest techniques. In addition to this, the offered pouch is stringently tested upon numerous parameters of quality before delivering to our renowned patrons. Incorporated in the year 2004 at Ahmedabad (Gujarat, India), we "Sun Roto Print", are the reputed Partnership firm, engrossed in Manufacturing and Supplying the premium quality range of Multi Color Flexible Packaging Bag, Laminate Pouch And Roll, Non Woven Bag, Aluminium Packaging Pouch, etc. The provided products are widely appreciated for their optimum tensile strength, perfect finish, tear resistance, etc. The offered products are manufactured in adherence to the set quality standards using quality approved raw material and modern technology under the stern guidance of our deft professionals. Our provided products are examined against several quality parameters to deliver a flawless supply at clients’ end. Moreover, the entire products range is also available in various technical specifications as per the needs of valuable clients.